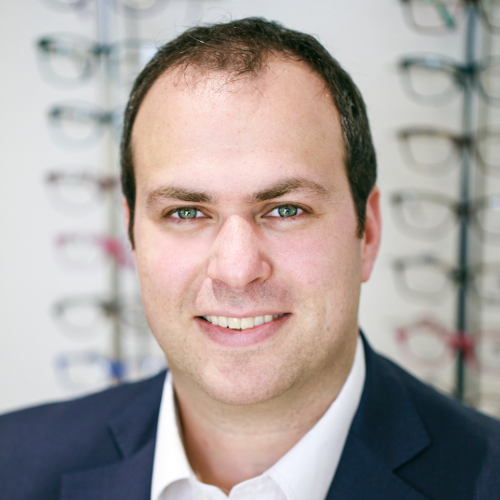 David Fleischmann has special interests in paediatric optometry, medical eye conditions, eye muscle problems, reading difficulties and dyslexia. He has achieved both membership to the Society for Coloured lens prescribers (SCLP) and Fellowship to the International Institute of Colorimetry (FIIoC) and has previously been a visiting specialist clinician in paediatrics and dyslexia at the Institute of Optometry. City University have awarded him clinical certificates in many areas, including therapeutics, glaucoma, paediatric optometry and binocular vision. In addition to his time at DF Optometrists he is principal optometrist for the paediatric eye clinic at Central Middlesex Hospital and specialist optometrist in the Shared Care Glaucoma clinic at Central Middlesex Hospital and clinical consultant for UK optometric equipment suppliers and manufacturers. Mr Fleischmann is now focused on furthering his Glaucoma practice, in addition to his MSc and key note lecture presentations.